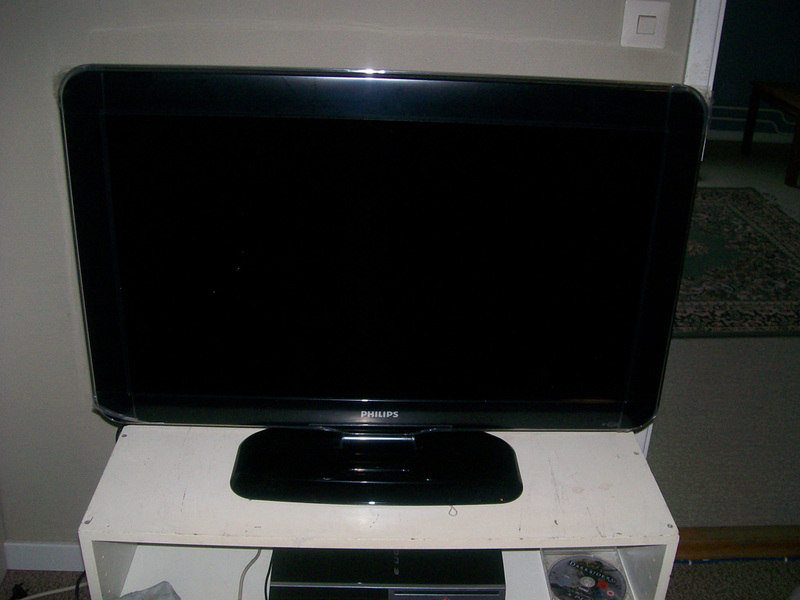 The big surprise… HDTV get! So this was my big surprise! As a lot of people already should have guessed. Still didn’t want to say it straight out yesterday. I thought this day would never come, how I have waited. So what all this about?! Well, I finally got my Christmas present from my family+grandpa. A bit late I know, but there has been other things in the way. But I’m so incredible happy right now. I’m reaching hyper state. Woo! It was some time ago I really felt like this and if feels wonderful! Now I can finally enjoy games on a HDTV and that I shall! I’ll let the pictures say the rest! There is even a rare one with me in it!! 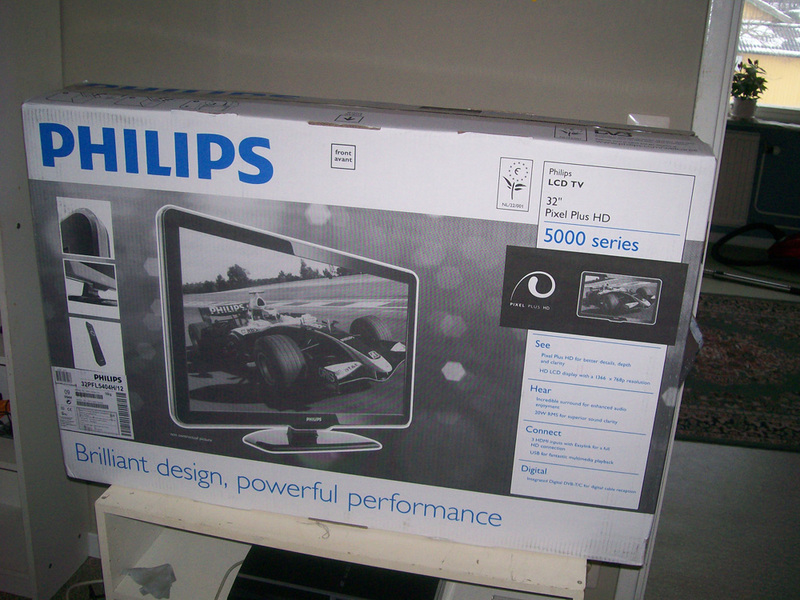 16 responses on The big surprise… HDTV get! 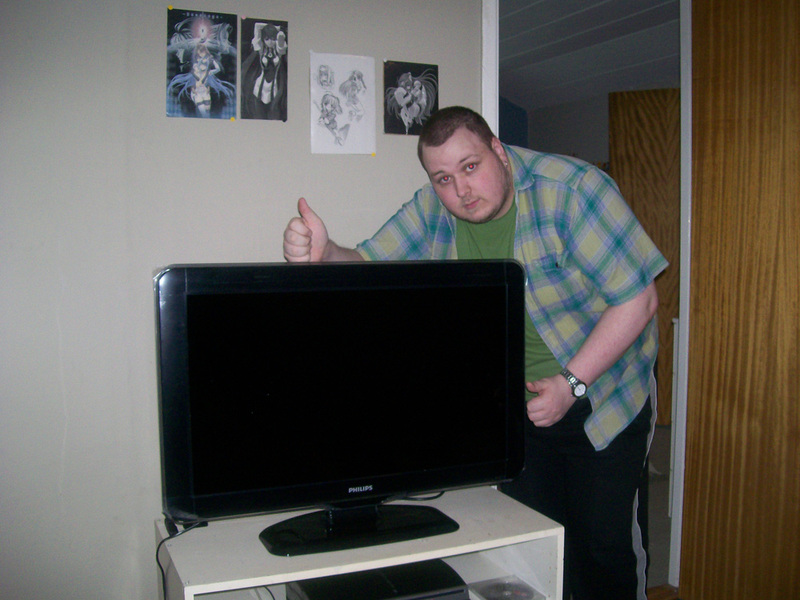 The dood and his new TV, finally! I give two, no wait, five thumbs up! Yeah and it feels great! So, what’cha doin’ on it? Right now. Not much, I’m trying to get some of the sleep that I couldn’t last night. Yeah, it was an all-nighter. So I’ll see you on MSN later tonight. But I’ll probably replay Darksiders on it, for a start. Then give Valkyria Chronicles a second playthrough. If I have the time before WKC arrives. YAZUUKA! Congratz ^^ Hehe, what a suprise. Im very very glad for you. And ITS the SAME FULLHD TV that i bought after christmas. Its a great tv. So nice to see! Now, enjoy the life of a high definition style. Have a great day and night! Thank you my friend, hope you’ll have a great day and night too. Looking good! :D Now you can really enjoy yor games on full scale. I’m happy for you. I tried a bit of Valkyria Chronicles today and its like day and night in difference. Now I can see that the characters have HP meters and how many bullets I have left. Yes, it is. 1080p. Dont forget to change the settings for that. The sound is outstanding. Very impressive. Damn fast writing night Palaxih.. Hehe! Wait, it is a 42″ serie? Becuase if its smaller than that im not sure it has full HD. Mine is a 32″ tv. But I can change the setting to 1080p. And I have done that. Sorry man, but the TV is not full HD. It is HD-ready. It doesn’t really matter though with a TV that size. Congratz! Yeah, I could have thought so. Yeah, well it doesn’t matter since its light years better than my old SDTV and I can play the new games like they were meant to be played.